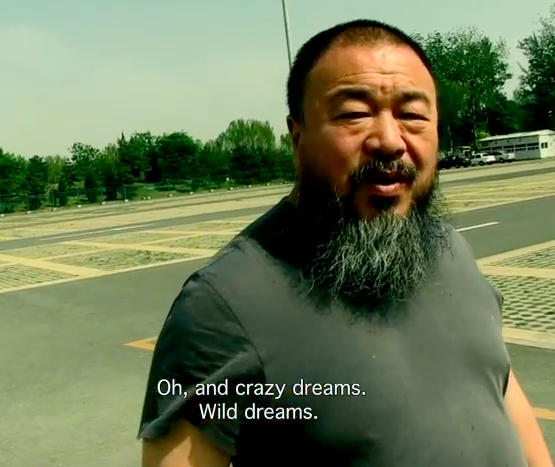 A new documentary on Ai Weiwei, The Fake Case, is preparing for release, profiling the artist’s release from his 81-day detention under the Chinese state, the artist’s response after his imprisonment, and his preparation for S.A.C.R.E.D., a series of works that documented his time while he was held without bail for tax evasion, a charge one person in his film notes doesn’t even exist in China. “Nobody in China would believe it, because nobody pays taxes in China anyways, so there’s no such thing,” they say. This entry was posted on Saturday, April 12th, 2014 at 4:51 pm	and is filed under Art News. You can follow any responses to this entry through the RSS 2.0 feed. You can leave a response, or trackback from your own site.